The University of Melbourne promotes the highest ethical standards in research, learning and teaching. The maintenance of academic integrity involves high quality scholarly practices, the use of reputable sources of information and the full acknowledgement of the authors and creators of ideas and materials that have informed one’s work. Ensuring academic integrity is vital to protecting the standards and esteem of The University of Melbourne’s degrees. Every student has an interest in protecting and supporting the good reputation of the University. Ethical practice in scholarly work and professional behaviour are recognised as important graduate attributes, and are an essential criterion of workplace professionalism. Academic integrity goes beyond the policing of university assessment and is part of a graduate's formation as a professional, underpinning their behaviour in the workplace, and reflecting on their personal honesty and integrity in all aspects of life. It is important that all University of Melbourne students understand their responsibility to conduct themselves in an ethical manner in all aspects of their studies. This website offers advice to students to support high standards of academic integrity and to highlight the nature of plagiarism - the copying of the work of others without acknowledgement - collusion, and poor scholarship. The University of Melbourne actively promotes academic integrity in a number of ways. The Academic Board Regulation sets out the University’s definition of academic misconduct and the penalties applicable should an allegation of academic misconduct be upheld. Students are provided with resources, including this website, that explain in detail the standards of academic honesty that are expected. These resources are reinforced through the teaching and learning practices at Faculty, Department, and School levels, and utilised in a range of learning environments. The Academic Integrity Module (AIM) is available to all University of Melbourne students to complete in the LMS. Working through the module will take approximately 15 minutes, and includes a self-assessment quiz to help consolidate an understanding of students’ responsibilities to conduct themselves in an ethical manner in all aspects of their studies. Students acknowledge that they will adhere to the terms and conditions, statutes, regulations, policies, procedures and guidelines of the University when they enrol. Students consent to their work being checked for plagiarism and collusion when they enrol in a subject. The University uses Turnitin text-matching software, a tool that helps to detect potential instances of plagiarism and collusion in assessment submissions. When the standards of academic integrity are not maintained, this can result in student academic misconduct. Section 42 of the Academic Board Regulation sets out the University’s definition of student academic misconduct. In general, conduct which seeks to gain a student an unfair or unjustified advantage can be student academic misconduct. What are Plagiarism and Collusion? Plagiarism and collusion are forms of academic misconduct that can have serious consequences. Presenting the work of another person as your own is plagiarism. Failing to properly acknowledge where the work or idea came from is dishonest and unacceptable. This applies to all written documents, interpretations, computer software, designs, music, sounds, images, photographs, and ideas that were created by someone else. Collusion is when work presented as your own has been impermissibly developed with others. This is equally dishonest and unacceptable, unless you have been required to produce a shared piece of work with other students, or you are specifically permitted to work with others as part of the learning objectives for the assessment task. You may not present the work of someone else as your own, even with their permission. Both the student submitting the assessment and student(s) willingly supplying unauthorised material are considered participants in acts of collusion. The University's definition of plagiarism in the Academic Board Regulation at section 43 can be found here. How does the University of Melbourne use Turnitin? Turnitin is an online text-matching tool that works by comparing students' assignments to billions of pages of content located on the internet, in databases, and other students' submitted assignments. Turnitin is currently used by many universities in Australia and internationally. The University of Melbourne has been using Turnitin since 2004 and it is a valuable addition to existing methods for supporting the University's policy on academic honesty. For more information about Turnitin please refer to Teaching with the LMS - Turnitin, or make a support request. For more information on academic writing skills go to Academic Skills. For more information about referencing correctly please see re:cite. The following is a list of University of Melbourne resources that are available for students to understand and improve their academic skills. 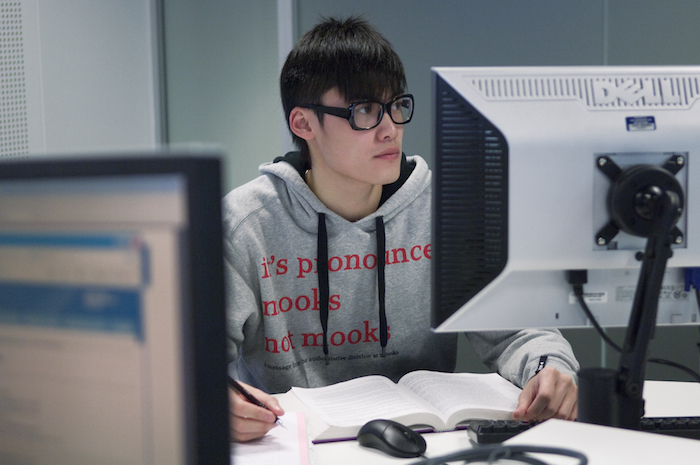 Academic Skills is a central service that helps all University of Melbourne students to develop their academic literacy. Academic Skills offers workshops, individual appointments and resources, including materials on researching and referencing. Turnitin offers instructional and support resources for students and staff. re:cite offers a guide for referencing, citation, and acknowledgement at the University of Melbourne. Cadmus is an online academic integrity tool currently being trialled by the University in a small number of subjects. Intellectual Property (IP) is any artefact resulting from intellectual or creative effort (written or artistic work, inventions, commercial names and images) which may be owned by a person or organisation. Copyright is one form of IP and provides a range of rights that arise in relation to written material and other artistic and creative works including films and music. Copyright defines the rights of the owner of the intellectual property that exists in this material form. Copyright is a statutory form of intellectual property rights and arises from the relevant law in the country where the relevant work is created and also where it is being used (not always being the same). A good description of copyright in Australia can be found here. Can I sell class notes or materials that have been provided by the University? No. Any materials supplied to you by the University are the IP of the University. You cannot sell or distribute them. This includes downloaded PowerPoint slides even if you have made your own hand written notes on them. Can I sell or share my assignments with other students? No. This is an impermissible practice and must be avoided. Students will be penalised for doing this whether or not someone uses the material. The selling of your work is in breach of the provisions of the Academic Board Regulation. You can protect the integrity of your work by not sharing it with anyone else. This includes work in progress, drafts, annotated notes, etc, not just final submissions. If I use words or materials from a Library resource that has copyright, is that plagiarism? There are provisions in the Copyright Act that allow copyright material to be used without permission from the copyright owner, for example quoting a few lines or a paragraph from a book or journal article. Copyright law requires that you acknowledge any material that you use. It is important that you do not infringe copyright as copyright owners can take legal action against you. You can also be subject to action from the University. Visit the Copyright Office website or contact the Copyright Office if you need assistance. Can I copy my own work from other assignments or subjects? No, this is not permitted and is a form of academic misconduct. Copying from your own previous work is sometimes called self-plagiarism, recycling, duplication, or multiple submission of research findings. You cannot re-use any part of your work that has already been submitted for assessment without proper citation. For undergraduate students it is unlikely that your own work would be considered an appropriate source even if it was cited correctly.